Tailored look for a woman original, creative, and always in step with the times, she loves to play and experiment with, a woman capable of reinventing his style every day. Scale strong hold from 04 to 05. 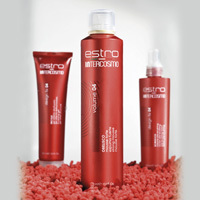 Mousse that gives the hair volume, body and texture. Strong hold. Scale drawings: 04. 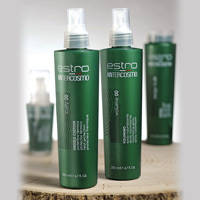 Spray pre- bend strong fixing, ideal to give support and sheen scale fixing : 04. Container: 200 ml spray bottle. 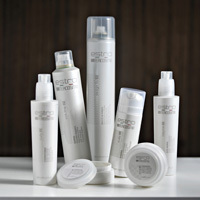 Gel with long-lasting and structured definition, suitable for separating and shaping. Scale drawings: 04.